With bright sunny mornings and blossoming flowers welcoming us, it’s time to welcome Spring! And that also means you need to prepare for the essential Spring cleanup! For all those home owners who seem to be putting off their household chores during the sluggish winter days, now need to get back in the game! This is the best time of the year to get down to deep cleaning your house. This entails comprehensive cleaning methodology and techniques which are quite different from the usual cleaning that your house undergoes. Why Hire A Professional Cleaner To Spring Clean Your House? 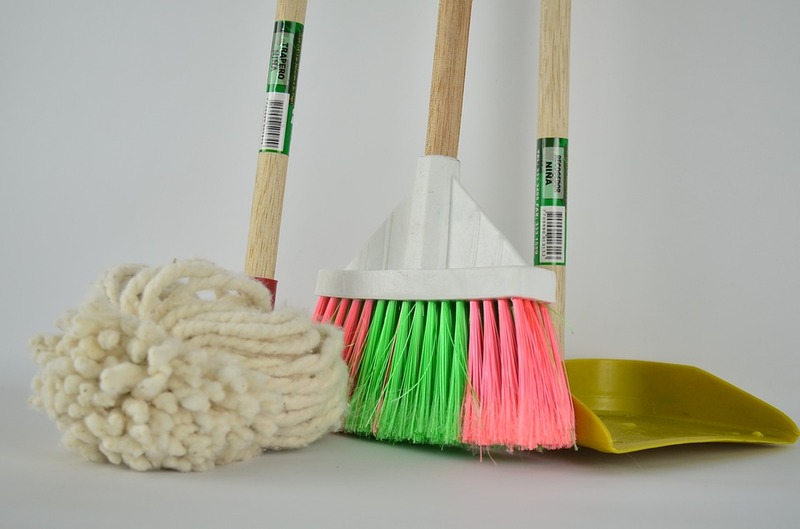 With sunshine greeting us early in the morning and winter blues fading away, it’s time to go on a house cleaning spree. However, spring cleaning can be tedious. The attention to detail and proficiency required to thoroughly clean your tile and grout is usually mastered by professional house cleaning services. For working parents, juggling work responsibilities, household chores and kids can be quite tough—to say the least. With spring here, it is best to hire a professional spring cleaner who will make sure that your house cleaning needs are holistically catered to. Not only will it save you time, but it will also relieve you off the stress of constantly having your home cleaning chores on your mind. Enjoy the spring reason by outsourcing this highly mundane task of deep cleaning your house. After all, cleanliness is next to godliness. Have you heard of home sanitizing services in Bakersfield? With Excellence Janitorial Services offering home sanitizing services people prefer hiring us to deep clean their home when spring arrives. The staff at the company is highly trained, skilled and friendly at the same time. They make sure that every corner of the house is cleaned whether it is as small as getting off a cobweb to floor cleaning services. The eco-friendly products leave behind no harmful residue which would affect the health of the residents in any way. Preparing your home for the spring season is more than just a routine cleaning task. With an eye for detail, we are sure that you will be satisfied with our services. Call us today at (661) 833-0934 to sign up and see the difference yourself.